A winter wonderland of snow adorns this Silver Snowflake Photo Christmas Card, with a flurry of metallic snowflakes and curlicues against a blue background. Visual vibrancy makes it a great choice for the annual family Christmas photo. 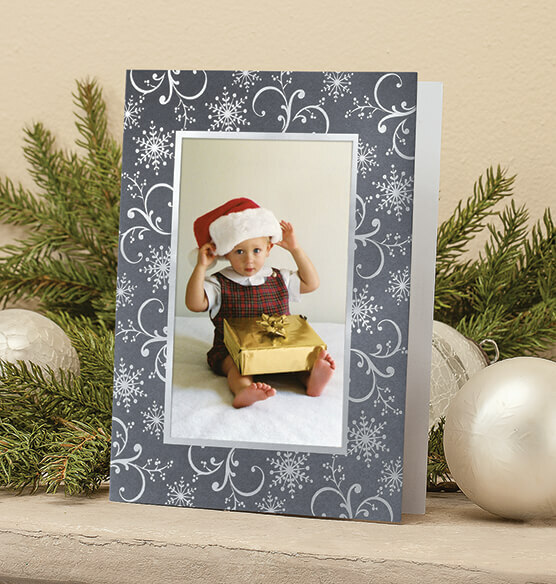 A silver foil border frames your horizontal photo, giving it added sophistication. Card colors look great with black and white or color photos. 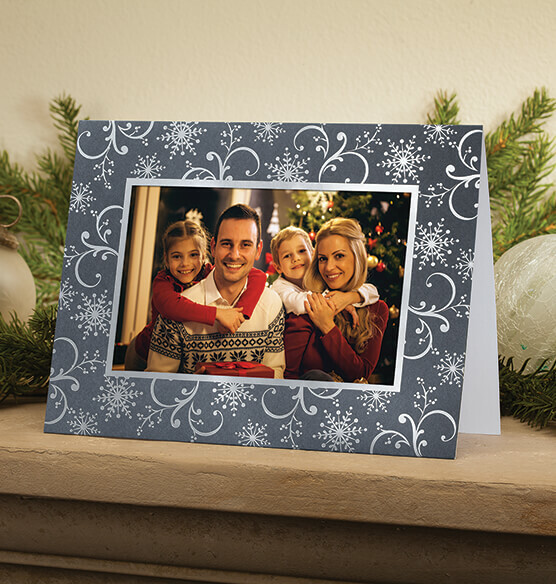 Create the card by inserting photos into prepared slide-in pocket slots. Instead of a verse, the inside greeting is made up of positive words: peace, love, health and happiness—a holiday wish everyone can relate to. Card set includes matching envelopes and both the card and envelope can be customized with 3 lines of unique text. 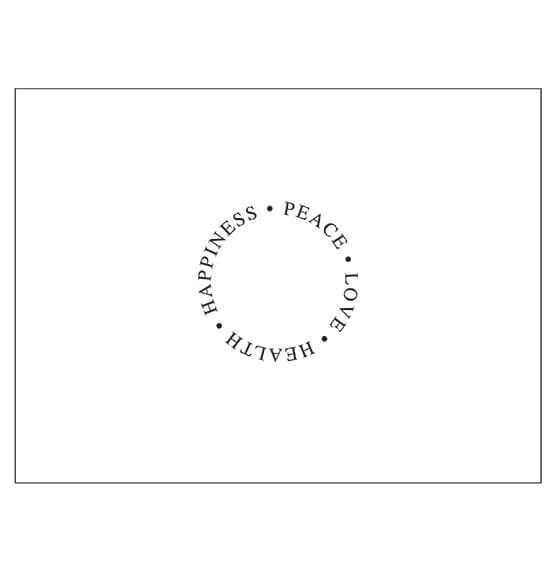 Pre-printed interior verse: "Peace, Love, Health, Happiness"
What does the inside of the card say? BEST ANSWER: Thank you for your question. The personalization inside is written in a circle and is Happiness, Peace, Love, Health. We hope this information will be of help to you.